Joan Mir is MotoGP's next up-and-coming superstar - that's the theory, anyway. But why was Honda, and Suzuki still, queuing up to bring him into the premier class? It's been almost six years since Honda's desire to call up young Moto2 ace Marc Marquez to its works line-up - as replacement for the suddenly retiring Casey Stoner - helped kill off MotoGP's rookie rule, which meant a newcomer had to spend at least a season in a premier class satellite team before joining a factory squad. It was a rule that was both curious and short-lived, one that's difficult to imagine in the current six-manufacturer phase of MotoGP. Its most historically significant contribution is, ultimately, the way it was ditched - and what that decision subsequently paved the way for. Marquez made an instant impact as Stoner's replacement in 2013 - the kind he almost certainly couldn't have made riding a Gresini Honda or an LCR Honda. It meant he did his learning in the spotlight, at the sharp end, for better (the poles, the wins, the title) or for worse (the Dani Pedrosa crash at Aragon, the Phillip Island disqualification). Certainly, Honda will have no regrets. Not after Marquez has brought home four titles, including at least one the bike clearly didn't merit. And not when he appears to be well en route to a fifth. Honda has not changed its works line-up since the move for Marquez, but by all accounts it came close this year - only to ultimately decide against replacing 31-time winner Pedrosa with a rider who, as of the time of writing, has one Moto2 podium to his name. But how did it even come to that? And why is the rider in question now on the brink of pipping three-time world champion Jorge Lorenzo to a different MotoGP works seat? If you're not already, get used to hearing the name Joan Mir. Riding for a top Moto2 team in Marc VDS, he is currently seventh in the series' standings, a top rookie by a huge margin but not exactly a factor in the title fight. 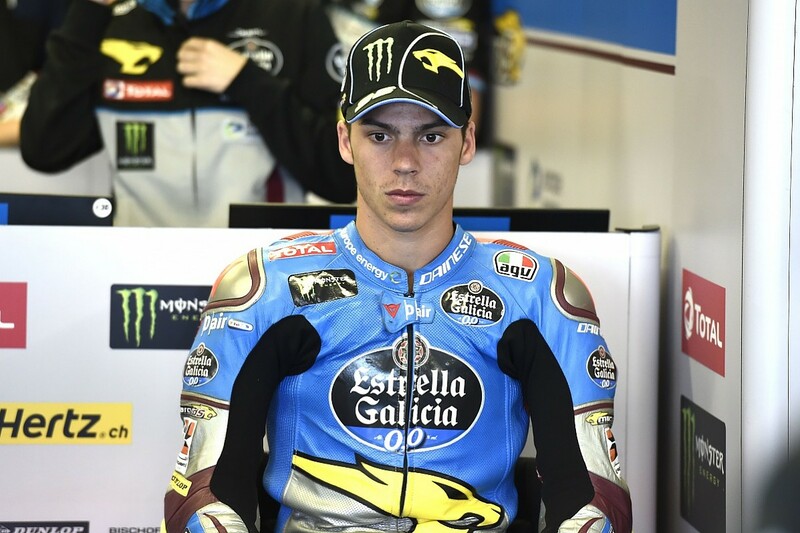 He is, as of now, behind his team-mate Alex Marquez. But Marquez - Marc's brother - is of course vastly more experienced, and Mir's fighting performances at Austin and Le Mans suggest the junior Marquez is not necessarily assured of ending the season as the team's lead rider. The 2014 Moto3 champion who's had a mixed time in the intermediate class, Marquez might very well end up in MotoGP next year, but his options will be limited to privateer rides. Five races into his Moto2 career, Mir now looks nailed on to join Suzuki - and that's only after Honda opted not to exercise an existing factory ride option it had on the Spaniard. 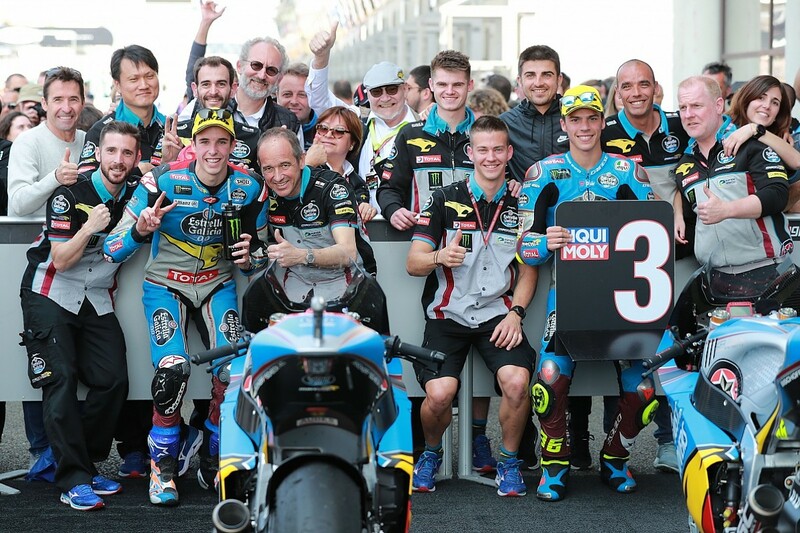 Five Moto2 races - one podium. And yet he looks set to not only replace Andrea Iannone - the rider who was supposed to lead the Suzuki team - but to deny Lorenzo an expected move in the process. Admittedly, that statistic is a little disingenuous. Mir's business card is not his fledgling Moto2 record, but his sophomore year in Moto3 in 2017. That one was a spectacular romp to the title, with 10 wins to boot - the best lightweight-class win tally since one Marc Marquez won 10 was his way to the '10 125cc crown. Here was a rider who needed just the one season to emerge as a master of Moto3's frantic, easy-on-the-eye style of pack racing. On pole just once in the whole of his second campaign, he made up for a lack of qualifying dominance with remarkable racecraft, picking his battles wisely, knowing when to sit back, when to attack, when to break away. He would become Moto3's least-experienced champion, but you wouldn't know it because he rode like a veteran. Mistakes were kept to a minimum - there was just the one non-score all year - and results were routinely maximised. To a grand prix racing team, that kind of rider maturity will be more attractive than the lightspeed pace of a hothead rising star who ends half of his races in the gravel. Suzuki will not be thinking of 2018-spec Mir but rather the projected '19-spec Mir or, given MotoGP's two-year contract cycles, the '20 version. Those contract cycles, and the fact that most of the deals are firmed up many months before they become active, is what makes MotoGP's rider market so unusual - its deals often appearing rushed despite their long-term nature. Pramac Ducati's Danilo Petrucci, who now looks well placed for a Ducati works ride, blasted the fact that manufacturers were already picking their line-ups for 2019-20 as "really stupid" during the recent race at Le Mans - and it's that very situation that means teams can't afford to wait and see how Mir develops over '18. The rider market is moving a mile a minute, and for one of those minutes Mir actually became the hottest property around. Honda was mulling the option, Suzuki was waiting in the wings, and there was apparently interest from Ducati too. The Ducati link remains the big left-field surprise. It is hard to see how the manufacturer could find a ride good enough to match what others would be offering Mir, and it looks reasonably stocked when it comes to works options anyway. 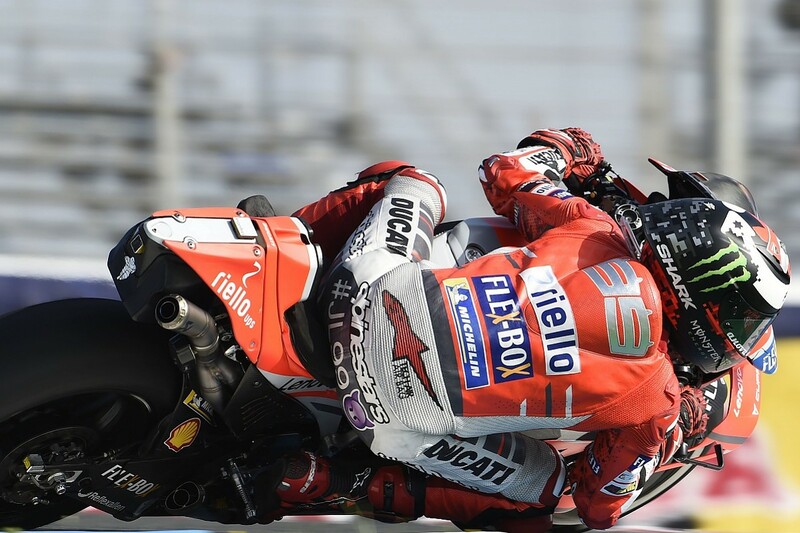 Andrea Dovizioso's extension has been taken care of, and even if Ducati wants Lorenzo off its books, there's the Pramac pair of Petrucci and Jack Miller to choose from. Besides, Ducati has already taken a punt on a Moto2 rider for next year, handing Pecco Bagnaia a 2019-20 Pramac ride and works deal in the off-season. Bagnaia is repaying that trust at the moment as he leads the intermediate class, but this makes Ducati's reported pursuit of Mir look all the more audacious. Still, a works seat - which is what it would take at this point - seems a risk too far for Ducati. It was for Honda, given the fact that the option has been allowed to lapse, and that's understandable. The Honda, just like the Ducati, is still seen as rather user-unfriendly, and bringing in Mir on a factory ride would be rocking the boat - losing Pedrosa's valuable experience and potentially upsetting both LCR's Cal Crutchlow, who would expect to have the first call if Pedrosa is dropped, and team leader Marquez, who has been vocal in wanting to keep the status quo. In theory, it should be a risk too far for Suzuki, too - although the manufacturer has not exactly been known for balking at a lack of experience. Back in the rookie rule days, it was allowed an exemption as it had no satellite teams, and it promptly used that exemption to bring 250cc graduate Alvaro Bautista on board. Upon its return as a factory outfit in 2015, Suzuki brought in Maverick Vinales, a rider whose pre-MotoGP career followed a similar template to what Mir's could well be - a Moto3 title followed by a single Moto2 campaign. In '17, Suzuki dipped into the Moto2 pool once more, eventually settling on Alex Rins over Johann Zarco. From a certain standpoint, the impending Mir move does follow that pattern. Vinales and Rins had made more of an impact in the intermediate class by the time they were putting pen to paper on a Suzuki MotoGP deal, but Mir's Moto3 record is better than either. And as a rookie, he will be less expensive than Lorenzo, or Iannone, or another established MotoGP name. But it's a massive gamble all the same. Vinales might have been a huge success at Suzuki, putting together a superb run in 2016 and grabbing a rare win for the manufacturer, but he needed time to get there. So did Rins. Arguably, even now, neither is the finished article. Suzuki settling on Mir over Lorenzo, or over another deal for Iannone, would mean that Rins will have to lead the team - and that Mir himself is likely to be under immediate pressure to contribute. After all, a meek Le Mans showing notwithstanding, the GSX-RR is a properly good bike now. None of this is to say that Mir will struggle, or that he doesn't deserve a premier-class spot. The young rider and his management look to have played their cards very well, and his on-track successes have been both impressive and timed to perfection. But it does suggest a lack of patience, and maybe somebody should've pumped the brakes. Mir is yet to even test a MotoGP bike or win a Moto2 race (although you'd imagine both of those milestones are going to be ticked off pretty soon), and there's no way he wouldn't benefit from some more time in the intermediate class. Marquez's example - he passed up on an immediate MotoGP promotion for 2012 in favour of a second year in Moto2 - suggests it's a decent strategy. It's fair to note there would certainly be downsides to delaying a MotoGP move. 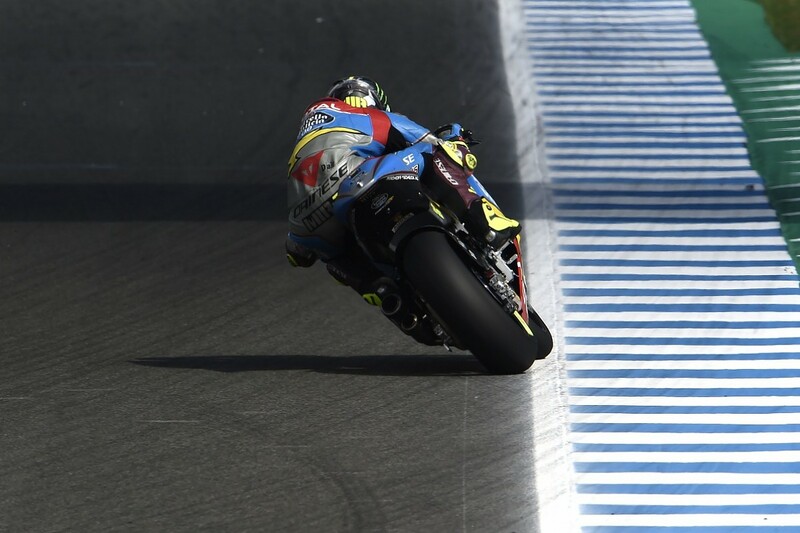 In pushing ahead, Mir will have considered the turmoil surrounding his current Marc VDS team, the possible impact of Triumph replacing Honda in Moto2 on the pecking order and the pesky two-year cycle of MotoGP works rider contracts. To an extent, you want to strike when the iron is hot. Ask another Moto3 champion, Danny Kent, who turned down MotoGP offers right after his title - and hasn't looked particularly close to the premier class since. Mir could justifiably be worried about a similar outcome, but at 20 he has time on his side and is widely regarded as a sure thing in the paddock. Even if he feels he must be in MotoGP in 2019, there are satellite rides, with one-year deals and factory options, where a learning curve is set out and the pressure is less - which is something you'd want given how brutal, difficult and ultra-competitive the premier class is today. 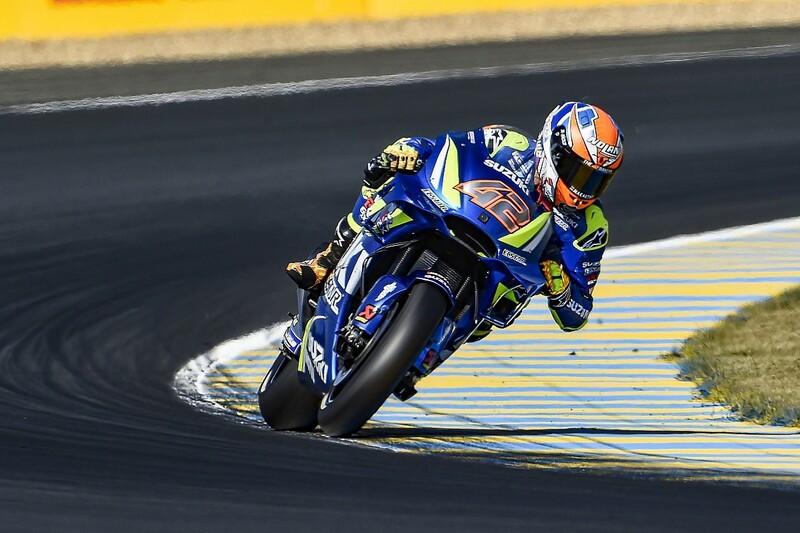 But you can't expect patience when factories are fighting for the next big thing, the next Valentino Rossi, the next Marquez, a long-term insurance policy for any rider-selection headaches. Mir could very well be the next Marquez. If he isn't, not right away anyway, and if Suzuki struggles as a result of this likely gamble, it could hamper his career - and make him wish the rookie rule was still in place.